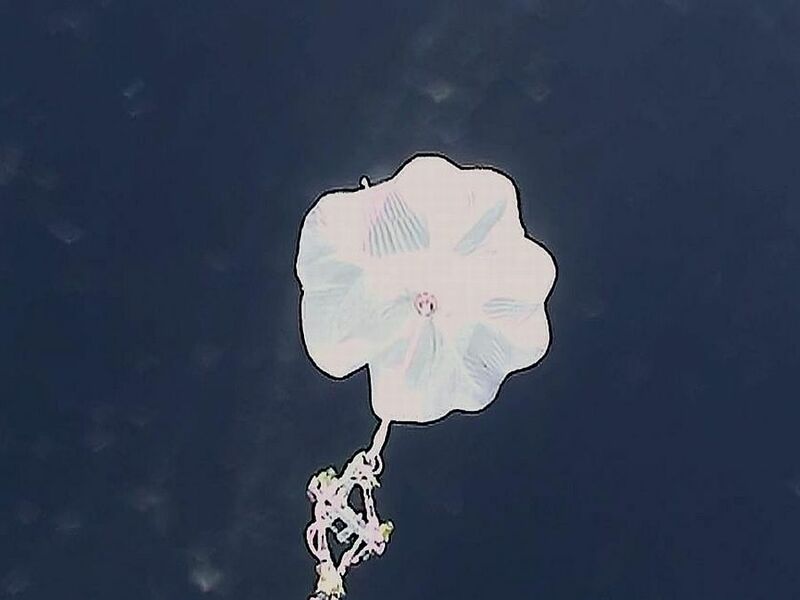 After several tests on the ground and engineering flights of small size super-pressure balloons suspended by another large balloon between 2004 and 2006, Japanese scientists fabricated a 300,000 m3 super-pressure balloon, which can carry a 500 kg payload to an altitude of 35 km. 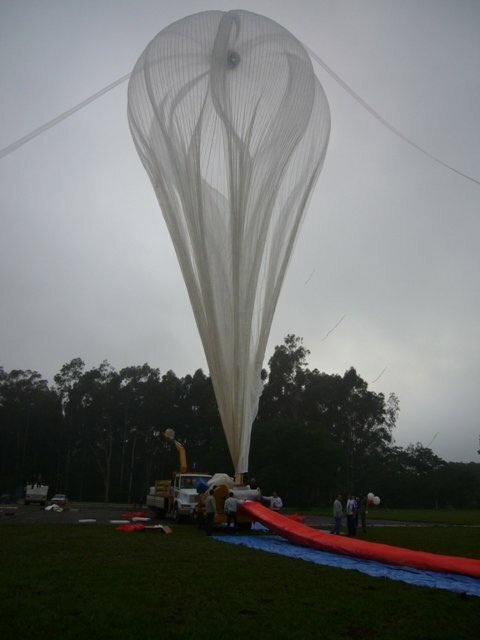 The 300,000 m3 balloon was tested at Cachoeira Paulista, Brazil, under the INPE/JAXA international scientific balloon collaboration agreement. 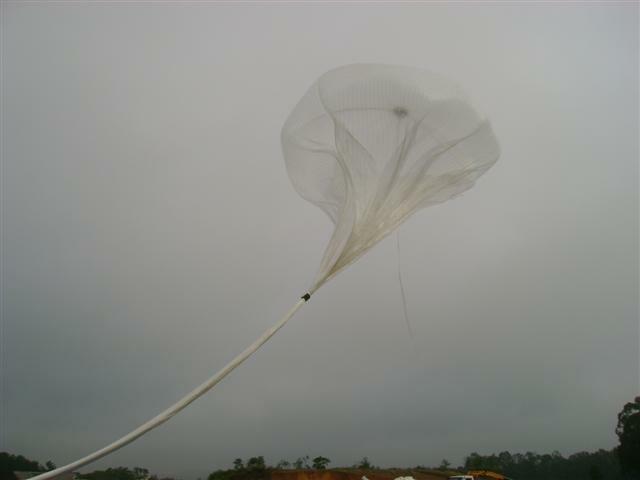 The objective of the mission was to obtain a one-day engineering flight, in order to verify its day/night performance, but the balloon burst at an altitude of 14.7 km. An image of the on-board high-definition video camera indicated that the initial damage was located around the collar position. 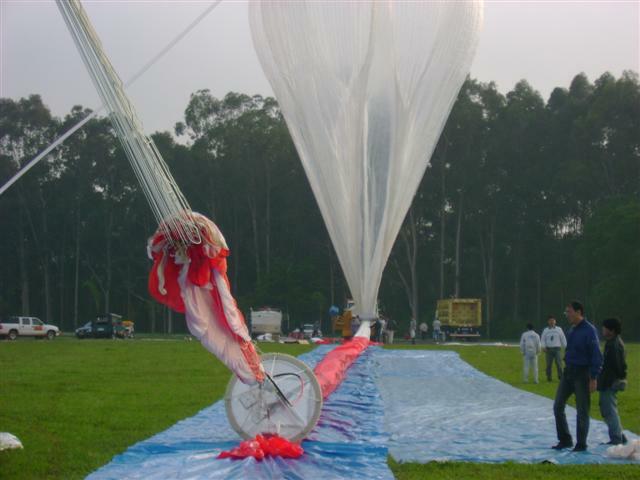 Since the film of the super-pressure balloon is hard compared to the polyethylene film and many load ropes run along the balloon surface, the collar or the spooler might have slightly damaged the film. 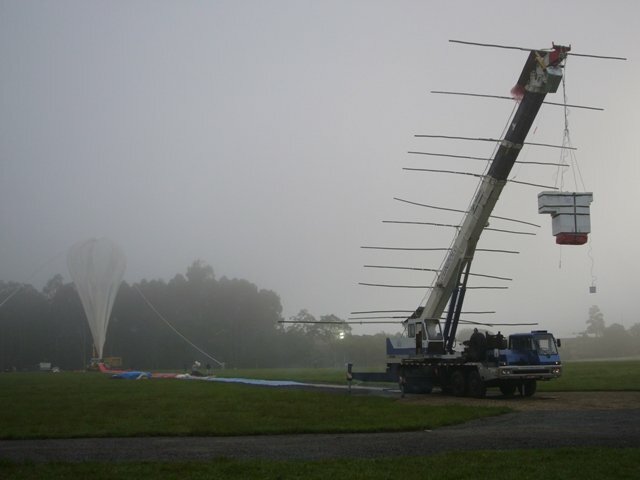 An improved launching method for super-pressure balloon is now under consideration.